We have two days left of school before Thanksgiving Break! 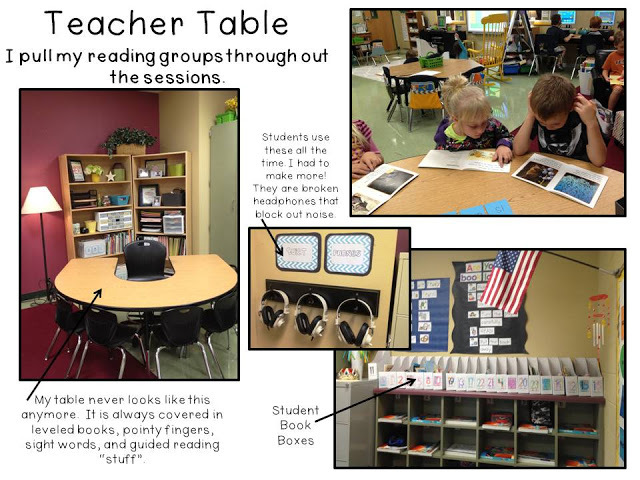 Because I am not posting visual plans this week, I decided it was a good time to share how we run our reading block. I can’t always say that it works perfectly. We stop and reteach when issues arise, but so far this system is working out well this year. I am in no way, shape, or form, an expert on the daily five, but this is my 4th year running my reading groups in this way so hopefully I can shed some light for someone just starting out. This is not endorsed by the daily five program. It is my take on what works for me this year. We begin and end every 15 minute session on the gray rug in front of the smartboard. Students watch as I move the choice titles over to the right and reset the timer for the next round. Then I say, “Ready, set, read!” before everyone gets up to go to their new choice. 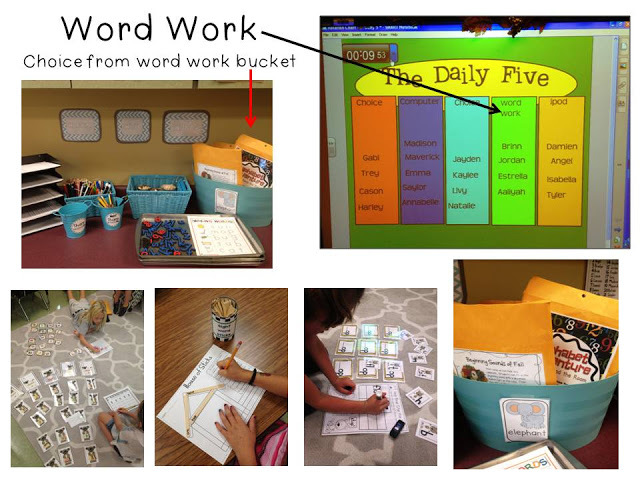 I add about 3-4 new word work activities weekly and cycle out old ones. There are about 10 choices in the bucket at all times. 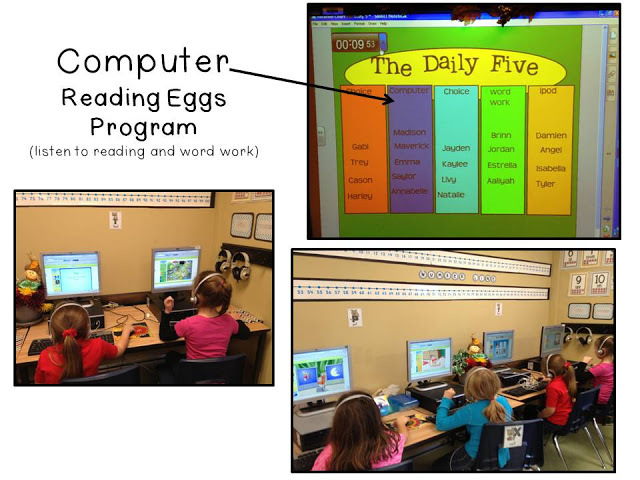 I went to the eduction apps in the app store and downloaded many free phonics and spelling apps for my class. I also let them use Teach Me First Grade which was $1.99. 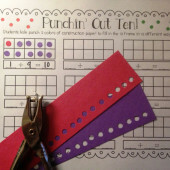 It incorporates math too. 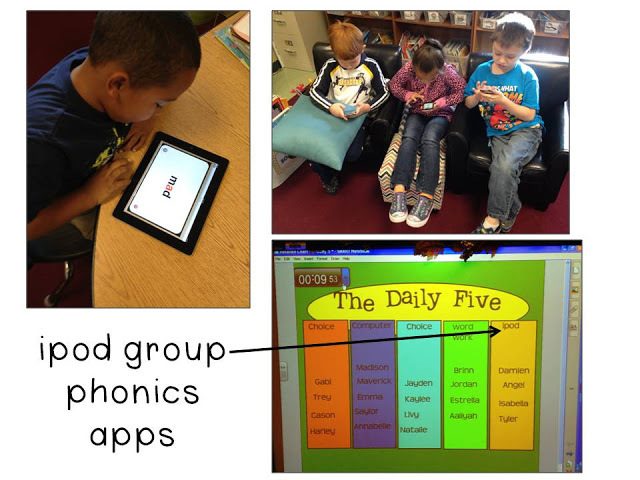 About a week ago, we receieved one ipad per classroom and so far I only have 4 apps on it, but phonics genius is a popular app for now. 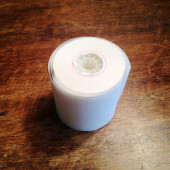 I use it to flash through the spelling focus that week whole group too. I enjoy seeing how others run their literacy block. I hope I didn’t bore you to tears!! 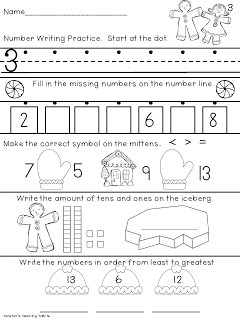 I created two new packets for daily review. I use them for morning work and run the two back to back. My students have gotten so good at these this year, I realized that I needed to add more! I didn’t have any December or Winter themed sets, so this is what I created. Here’s a sample of each packet’s pages. I run them back to back and have it out in the morning as students arrive. 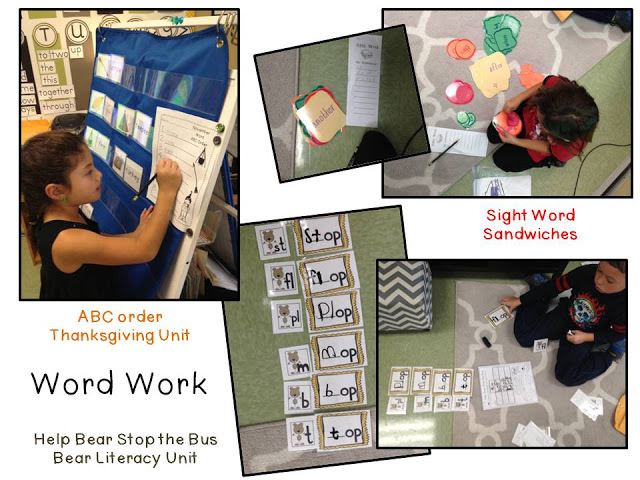 When I introduce a new packet or concept I follow up with us all reviewing it whole group, but after two times of reviewing it, these are independant skill work. 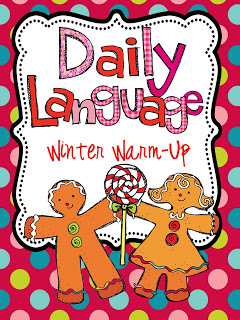 If you already bought my Daily Math Or Daily Language Complete Sets, I have added the winter set for free. You can download the updated version from your purchases page. 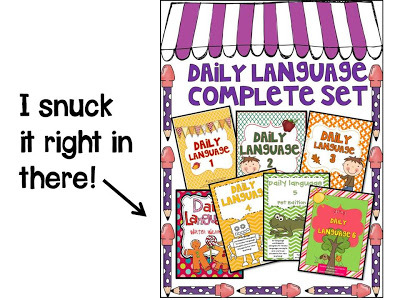 If you want to check out getting all 7 sets of daily language or daily math just click the pictures below to head to TpT and check it out. It is 11 dollars less than buying all 7 sets separately when you buy the complete set! 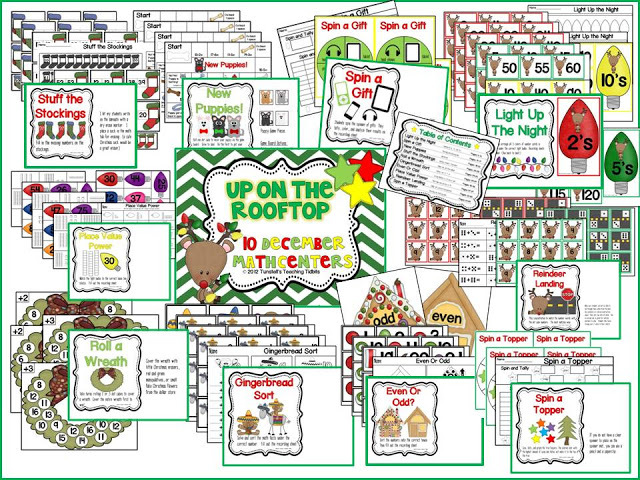 In case you missed it last time, here’s my new set of math centers for December. I think these will make coming back from vacation tolerable! 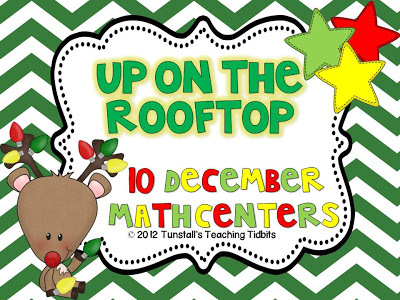 Click the picture to see them at TpT or click the preview below to get a good look at what is inside. 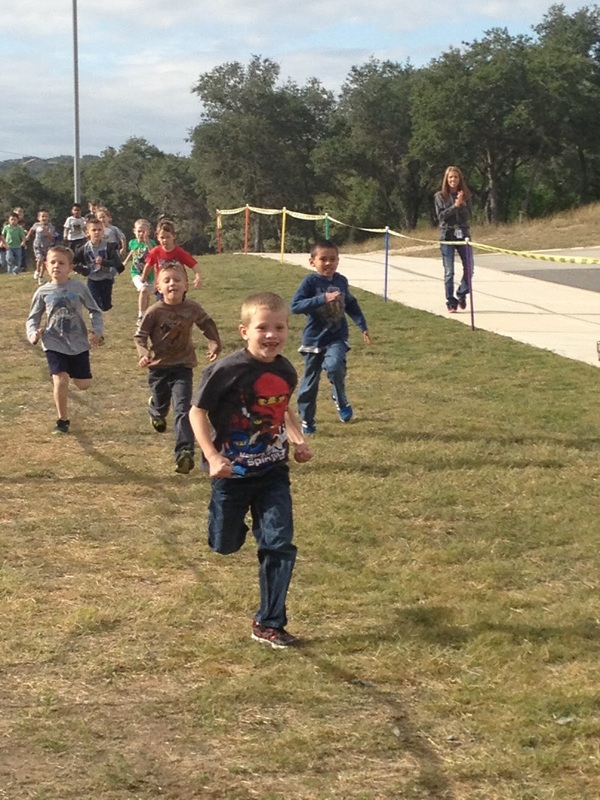 On Friday we had our Turkey Trot. It is a school wide race that each grade level completes during their specials time. 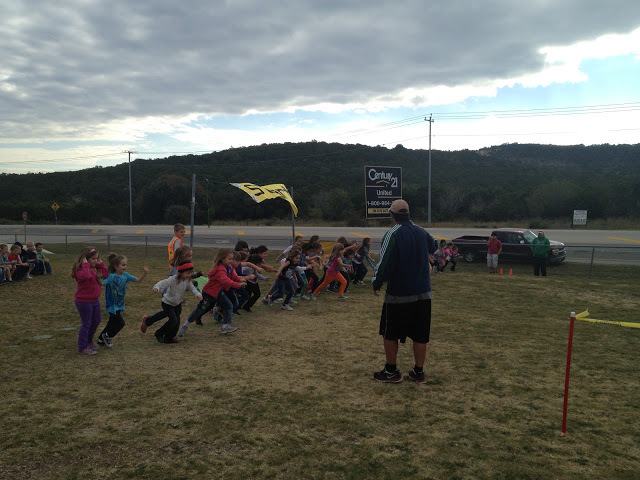 Here’s some pictures from our first grade trot. 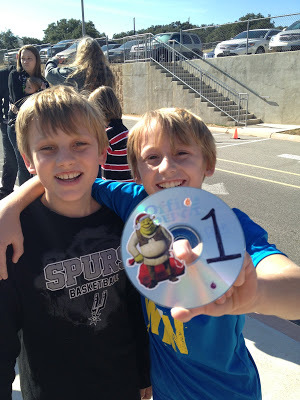 This picture below is of my son and the first place winner of his grade level. 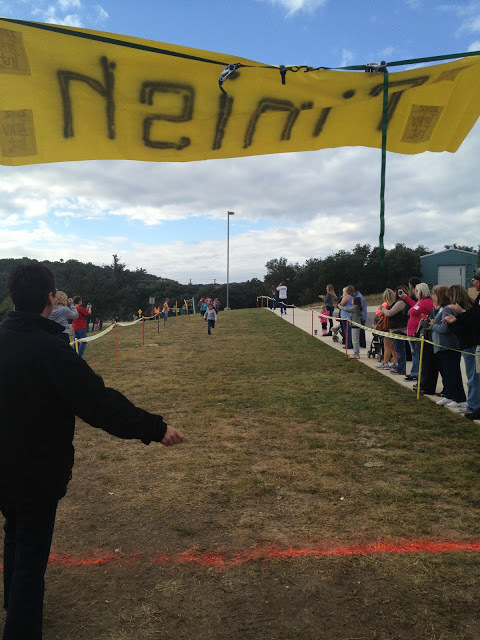 This boy has won first place 4 years in a row! 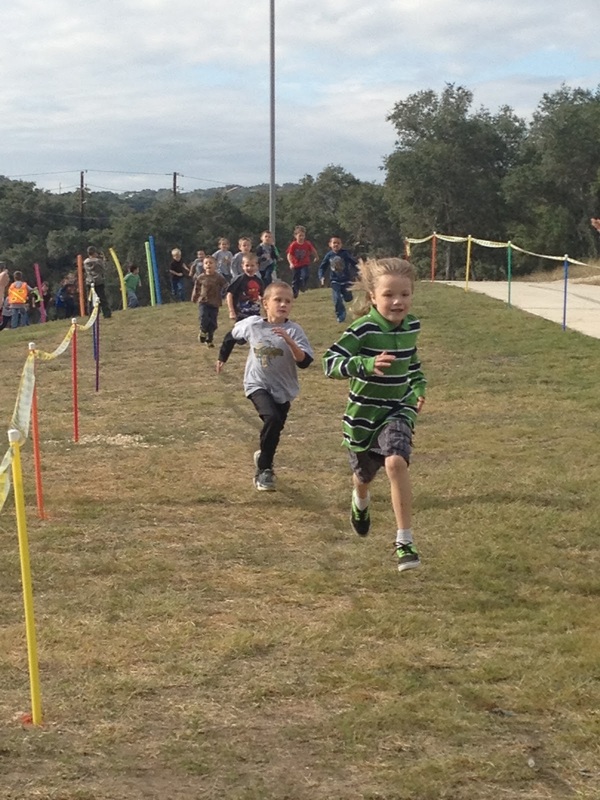 (my son is on the left) The top ten get a “medal” handed to them as they cross the finish line. It helps us keep track of the top then finishers in each grade level. After their names are recorded, the CDs (medals) are collected for the next race. This weekend I headed to Hobby Lobby and I am working on my Thanksgiving Program costumes because our little program is Tuesday! Our dress rehearsal is tomorrow! Such Fun! 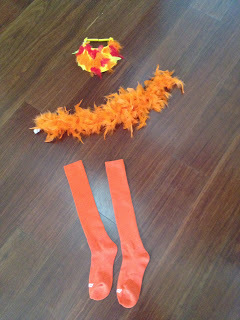 Turkeys will wear a brown T-shirt, feathered visor, orange boa, and these socks go over their jeans all the way up their little thighs! TOTALLY ADORABLE! 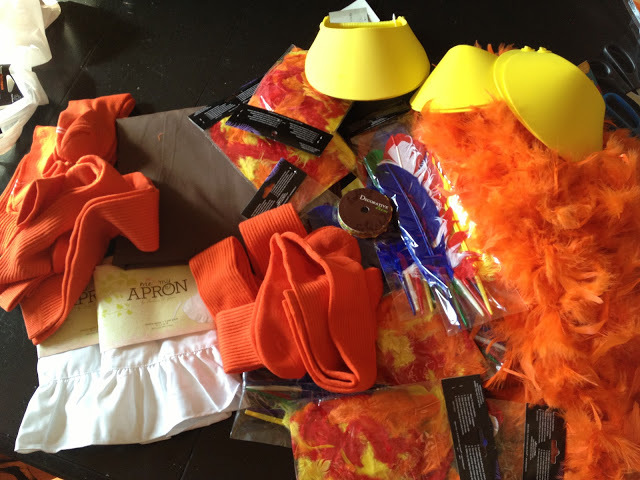 I will show more of the costumes once they are made after tomorrow’s dress rehearsal. Awesome costumes!Off to check out your Christmas Math games. Love the way you do your reading block. Happy Sunday! I can't wait to see your post on your program. Those costumes are so stinkin' cute! I love your post on the Daily 5 very informative. Awesome as always! 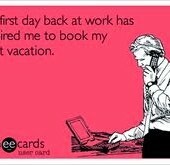 And I thought you were busy before! You're so organized!!! I can't wait to see your little turkeys—I bet they look ADORABLE! I think you should make video tutorials- for people like me… My squirrely brain soles times doesn't hold info for too long!! I move the titles at the tops of the colored panels and that is what they do. 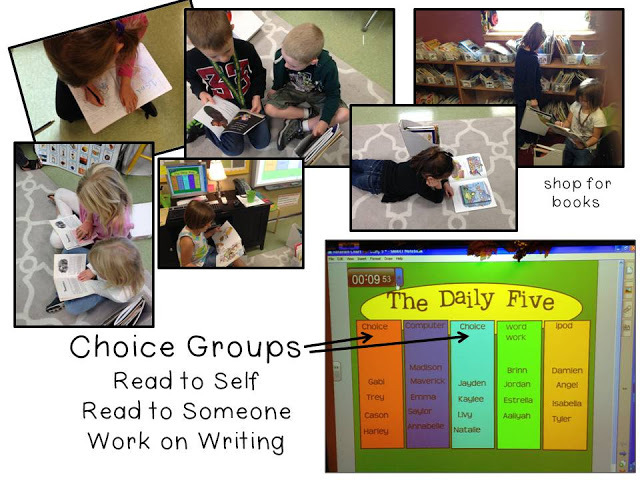 They get to choose from read to self, read to someone, work on writing when they are on choice. 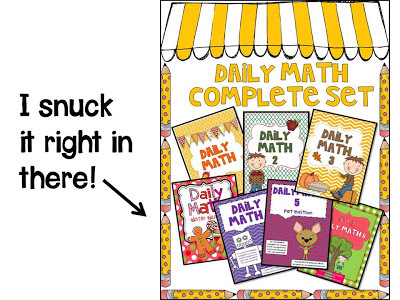 Hi, I bought your Daily Math sets, all of them, but I guess separately. Is their a way I can still get your new Winter Theme? It seems like it would be perfect! I have know idea why I didn't buy them as one complete set. 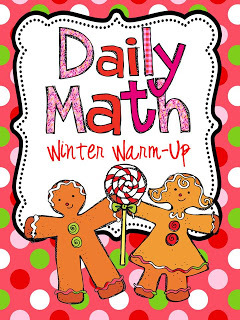 Thank you for making the Winter Daily Language/Math pages, my kids love these activities. My kiddos have a binder that has all their daily work in there. Throughout the day, they pull out their binder and do the activities. Your activities are in there. They beg to do their binders. Thank you. I can't wait to see your little turkeys. It might have been long, but boy was it great, thanks for sharing so much! I was just stopping by to wish you a Happy Thanksgiving! Hi, Reagan! 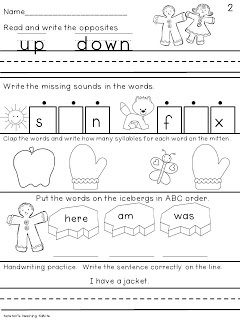 When your kids go to Word Work, do you ever have a must do for that day or week, or do they always get to choose what they would like to do? 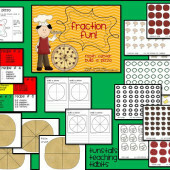 Do you also offer the usual playdoh, magnetic letter, whiteboard, etc. choices? Love how you set up your daily five! Awesome. My goal was to begin that this year….. but I am teaching a combined and the year started a little too crazy. Maybe I will take the time after Christmas to start it up in January. Thanks for sharing the program you use too! Awesome.